Kevin Feige oversees all of Marvel Studios’ feature film productions, whose 20 films released have all opened No. 1 at the box office and collectively grossed over $17 billion worldwide. The Producers Guild of America (PGA) announced today that Kevin Feige will be honored with the 2019 David O. Selznick Achievement Award recognizing the producer’s body of work in motion pictures. Feige will receive the award at the 30th Annual Producers Guild Awards on Saturday, January 19, 2019 at the Beverly Hilton hotel in Los Angeles. 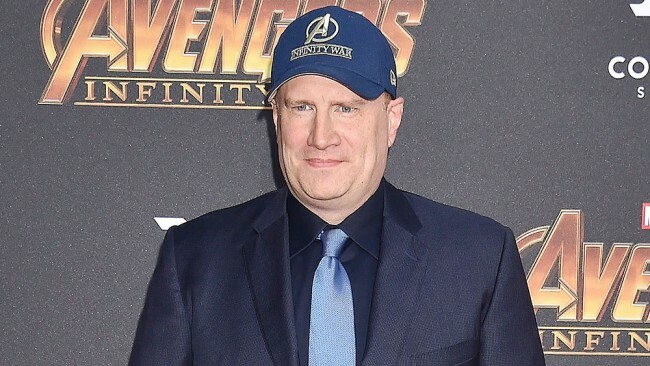 As President of Marvel Studios since 2007 and producer of each of its 20 genre-spanning films to date, Feige is widely credited with creating the unprecedented and ever-expanding Marvel Cinematic Universe. His forward-thinking approach to production, diverse casting and globally resonant storylines make him one of the most exciting and relevant filmmakers of our time. Since the inception of Marvel Studios, Feige has continually brought together a diverse group of talent for each of his films, seeking out unique and unexpected voices to bring the studio’s stories to life, from writers and directors to actors and below-the-line professionals. This effort reached its apex with this year’s release of the critically acclaimed “Black Panther.” The film became a global cultural phemomeon, proving that showcasing diverse voices can lead to global success. The most successful domestic release of 2018, “Black Panther” earned more than $1.3B worldwide. In addition to “Black Panther,” Feige is responsible for “The Avengers,” “Captain America,” “Iron Man,” “Guardians of the Galaxy,” “Thor,” “Doctor Strange,” “Spider-Man: Homecoming,” “Avengers: Infinity War” and, most recently, “Ant-Man and the Wasp.” Feige continues his trajectory with his advocacy of women and inclusion with the upcoming female-led “Captain Marvel” and storylines around major strong female characters from Black Widow to many more. Every one of Marvel Studios’ 20 films has opened to #1 at the Box Office and together have amassed more than $17.6B in global box office. Feige began his career working for Lauren Shuler Donner and Richard Donner at their Warner Bros.–based production company. Feige eventually earned his first producer credit on “X-Men,” a film that is credited with revitalizing the comic-book genre. The Producers Guild of America (PGA) announced Saturday, January 18, 2020 as the date for its 31st Annual Producers Guild Awards, to be presented at the Fairmont Century Plaza hotel in Los Angeles.